This little radio was donated to a charity shop. Colin Davies who checks electrical equipment donated says he gets large quantities of stuff that is perfectly OK, but which the shop can't sell because there is no demand for it. 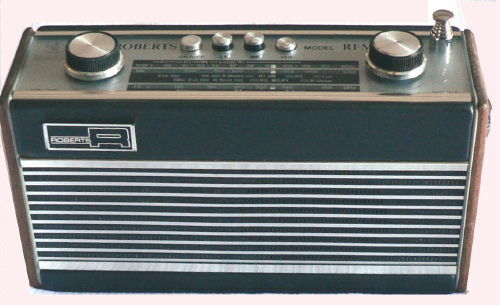 This radio has three integrated circuits TA 7358P (FM section), TDA 1220B (AM section) and TDA 1904 (Audio) which delivers 1W (TDH 10%) into a 72mm 8 ohm loudspeaker. It is powered by a 9Volt PP9 battery or may be operated from an external supply.